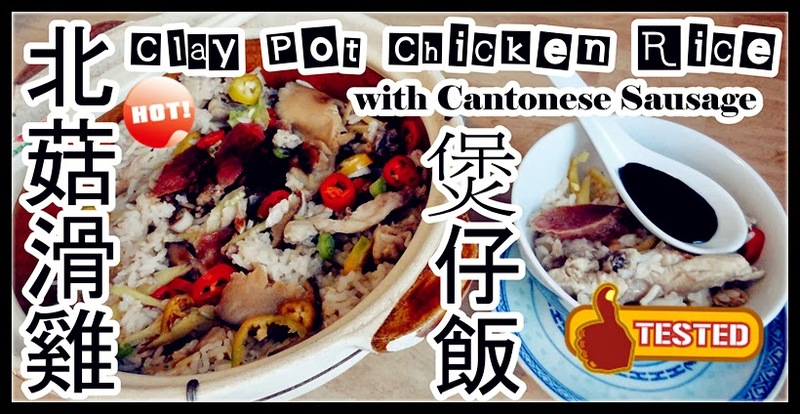 Clay Pot Chicken Rice with Cantonese Sausage is a very popular one pot meal among the Chinese community in everywhere, affectionately called Bo Zai Fan in Cantonese. 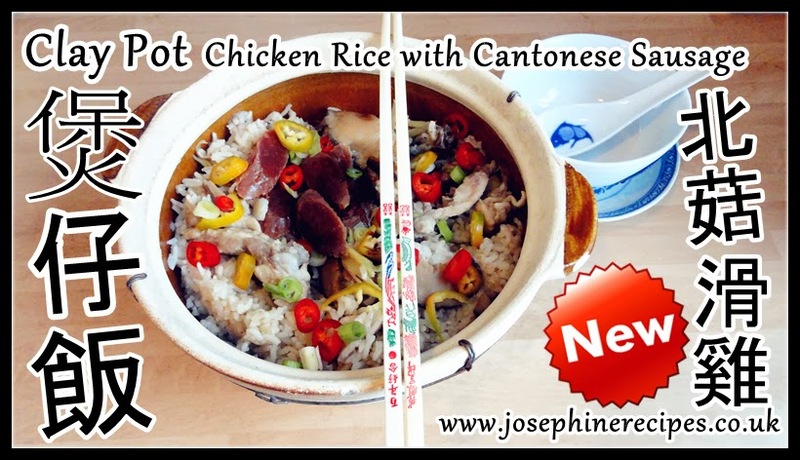 It is traditionally cooked in a clay pot, but you can use electric rice cooker for convenience. Before I bought a claypot, I cooked claypot rice using a rice cooker and you can see this picture has a wonderful smoky flavour and a nice crust. These are actually the best bits of the dish, adding a satisfying crunch to every bite. 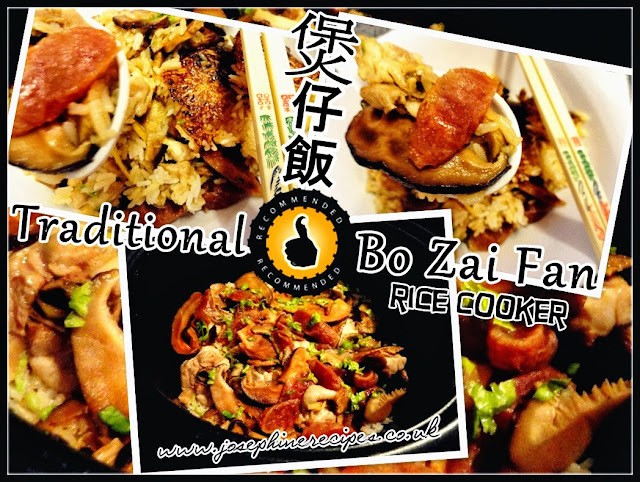 1) Cook the rice for 15 minutes. 1) Marinade chicken pieces with mushroom for 30 minutes. 2) Wash 1 cup of rice, and add 1 cup of water, put a little sesame oil and cover claypot with lid. Simmer the rice in medium heat until it is almost cooked, about 15 minutes. removing wax covering and sliced diagonally and put back the claypot and keep warm for slow cook another 5-10 minutes before serving. How much water you add depends on what kind of rice you're cooking and how moist you prefer it. Put a little sesame oil and cover claypot with lid. (This will make a crispy rice effect). 1) Grill longer at a lower temperature. If not the problem is that the dough on the bottom of your crust is not reaching a high enough temperature by the time the top of your crust is done baking. 2) Eat very slowly so as to relish every bite. 3) Don't eat the pie while it's too hot, they'd burn your mouth. Every woman dreams to have healthy, strong and beautiful skin and hair. 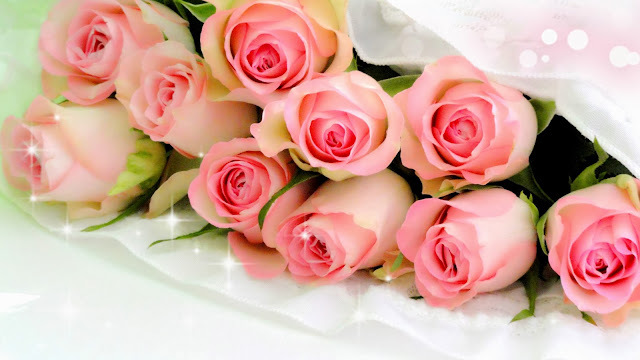 Rose water is a nature's gift which can make this dream come true. How To Make Rosewater For Skin and Hair Care - Do it yourself at home. 1) As the ice melts in the cover, use a turkey baster to remove the melted water, and add more ice! Be sure not to let the petals boil dry. If you simmer the water too long, the rose essence will be diluted and not have a strong heavenly scent! 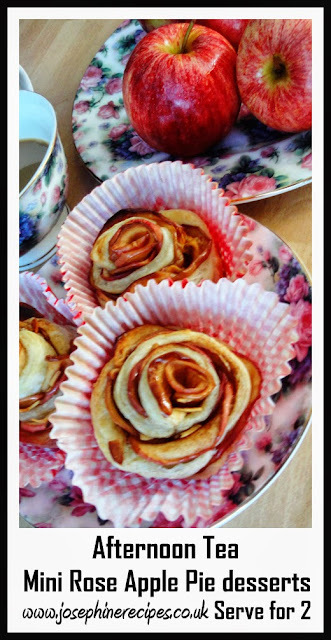 2) Refrigerate your rose water. Some say to use within a few days, others say it can be kept much longer, so I suggest you use your best judgment, and try to use it up as soon as possible, or (keep making fresh batches). Use as a facial toner, astringent, in your bath water, or put some in a spray bottle, and spritz your face with it, for a cooling, wonderful fragrance of roses and hydrating experience! 3) Once you learn how to make rose water, and start using it, you will discover just how good for your skin it is. Make sure you are not allergic to roses when using products made from rose petals. Apples are one of most popular fruits that are ready to be picked during the autumn season. so grab your loved one, friends or even children to the nearest farm or your own garden & pick some Apples! Once you are done you can go home and back a nice apple pie or figure out how to make cider! Learn How to make your own ''Mini Rose Apple Pie desserts''. Smile. Cook. Eat. 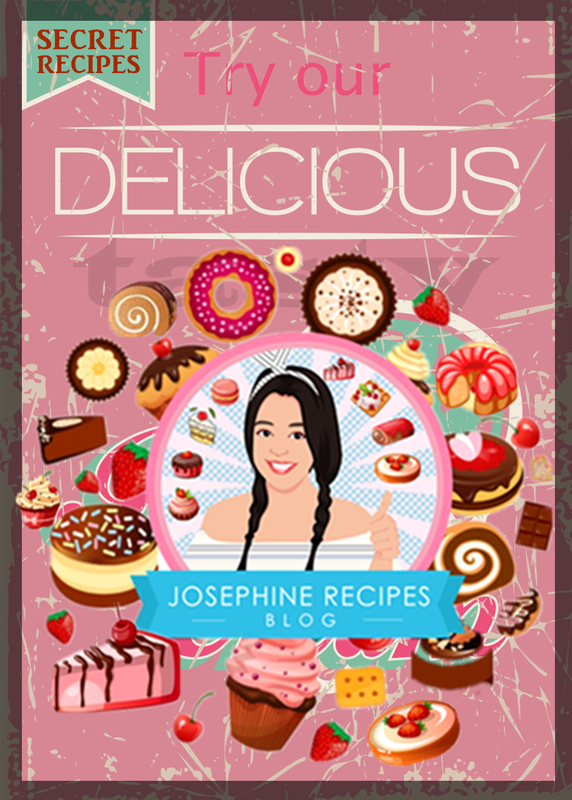 Love >> Be Delicious. October is British Apple day, A day we celebrate our wonderful native apples. One of my favourite healthy treat to snacks on are Apple, I guess that’s because the apple in it are fresh, so the taste’s so aroma! Apples on a large tree in my sister in law garden. I was visiting with Paul, Helen and Dad at my sister in law house, and I just saying WOW when I saw the apples tree in her backyard. Yeah! 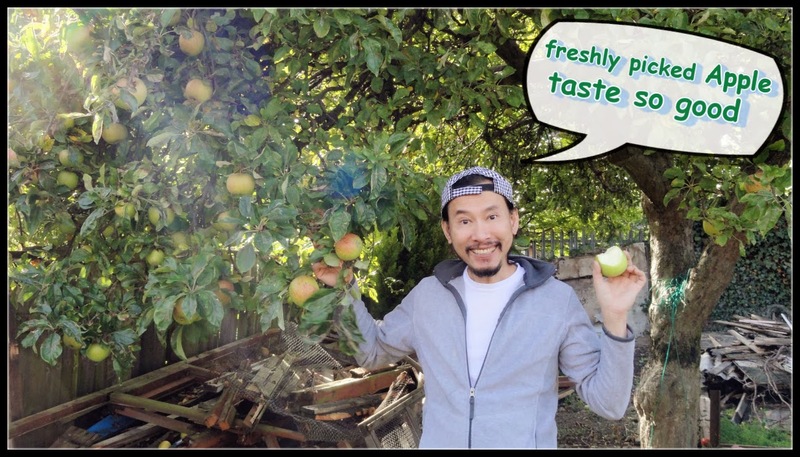 We pick some Apples! I like how it looks. 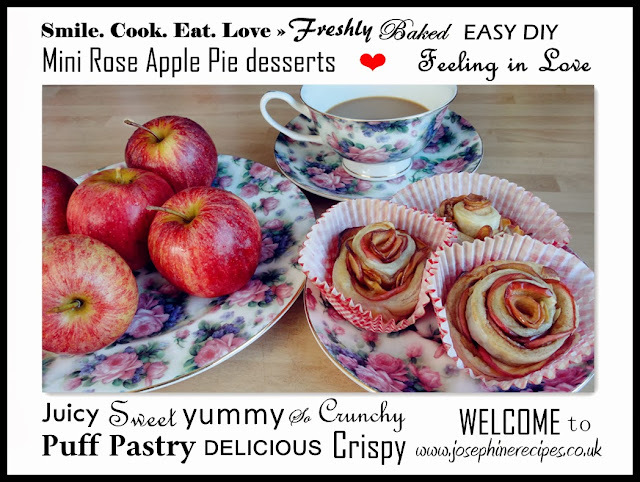 Today I’m going to show you, How To Make Apple Rose Tart. It’s the perfect treat for elevenses, afternoon tea. 2) Melt the sugar, cinnamon and the sliced apples with lemon juice and toasted flaked almonds, in a fry pan over medium high heat. Stir to combine until slightly soft, Let them completely cool. Use a fork to poke the puff pastry sheet as many holes. Sprinkle a pinch of cinnamon powder and brown sugar. 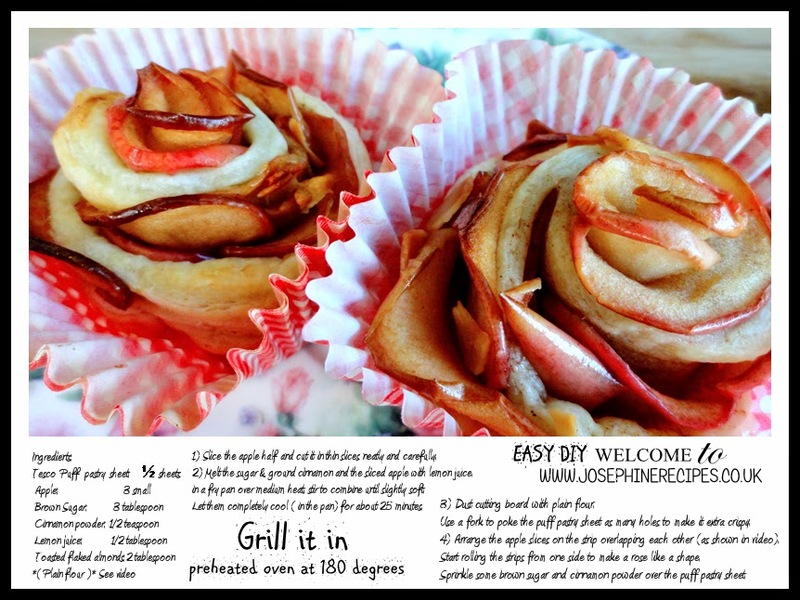 4) Arrange the apple slices on the strip overlapping each other, Cut 2 inch wide and long strips from the pastry sheet. Start rolling the strips from one side to make a rose like a shape. Use a fork to make an elegant rope edge around the pie. 5) Grill it in pre-heated oven 180 degrees for 30 minutes. 1) Bake longer at a lower temperature. If not the problem is that the dough on the bottom of your crust is not reaching a high enough temperature by the time the top of your crust is done baking. 3) Don’t eat the pie while it's too hot, they'd burn your mouth.